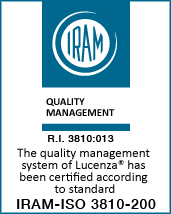 We are a company that has high quality standards, which ensures compliance with standards and has as fundamental value the care of the human being. We have an important investment in technology and management processes, along with national permits to circulate throughout Argentina and neighboring countries. We are a new form of transport that values ​​quality service. We are a new travel experience. Our purpose is to make CARE towards the human being a MARKET VALUE. EVYT Leg. 2941 · Res. 1230/81. Av. Luro 3071 3˚B · Mar del Plata, B.A. 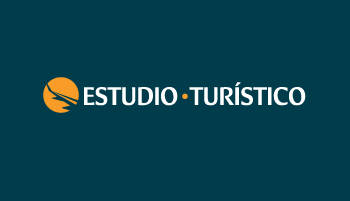 With a trajectory of more than 30 years, ESTUDIO TURÍSTICO, Travel and Tourism Company, Endorsed by The Ministry of Tourism of Argentina works with LUCENZA to provide you with the best experience, safety and support during your trip. We offer Group Travel with specific needs and guides at each point. Individual trips to discover exotic destinations by organizing visa and insurance processes. With Magic 15 we give the best experience and care for the 15 Trip to Disney, Miami and New York, with small groups and the best guarantee. We organize corporate trips at any point; Adapting to the detailed agenda that the company has. With Honey Plan we offer unforgettable personalized moments advising family and friends how to feel present in one of the most important moments of life.